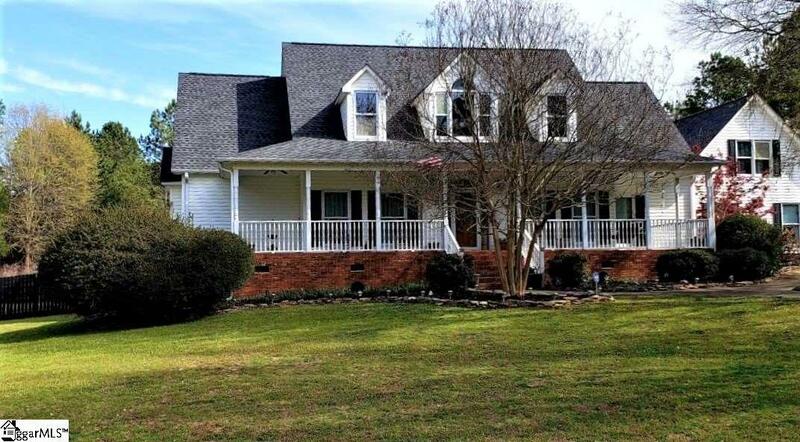 An Outdoor Haven coupled w/Acreage in this magnificent 4BR/3.5 BA home situated on a quaint street where mature trees create the PRIVACY and AMBIANCE that you're looking for! As you enter, you'll find a dining room, spacious great room with Stone gas fireplace, and a beautiful kitchen! The kitchen and breakfast area adjoin the spacious great room creating an ideal place for entertaining. The kitchen features ample cabinet space, island, counter space, pantry and more! The main level boast a bedroom that can be used as a guest suite and a master bedroom. The fabulous master suite features a private entrance to a covered porch with a hot tub, large full bath with garden tub, double vanities, and huge walk-in closet. Its a must see! Upstairs you will find 2 more bedrooms w/ample closet space with access to an open balcony overlooking the downstairs, a full bath to share and walk-in attic space . In addition, there is a 27x13 bonus room that can be used as a game room, office or a 5th bedroom with its own private entrance through the garage. Walk out to your private two-tiered 24x24 deck area, and a private fenced garden area (gardeners dream) that leads to an 24x32 -2 Stall barn! 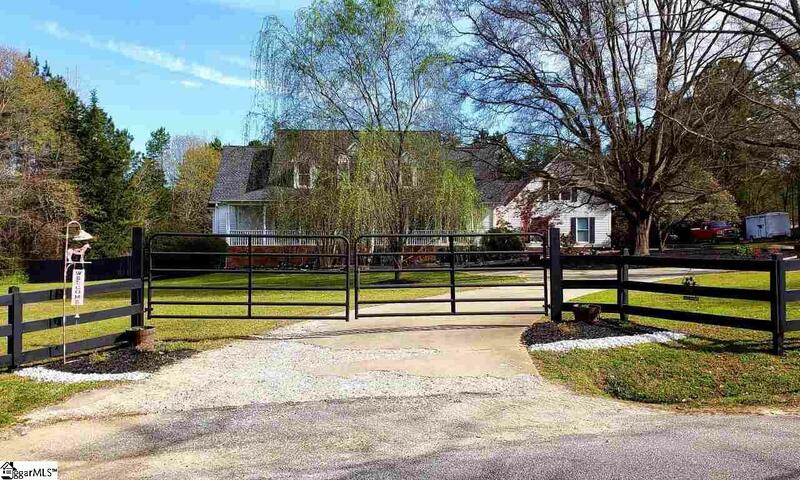 This gorgeous barn features a tack room, work room, hay loft and has electric and water. The fenced pasture area also has a small pond for the horses to cool off! Everything has been done to create the ambience one can only dream of in this horse/outdoor lovers paradise! 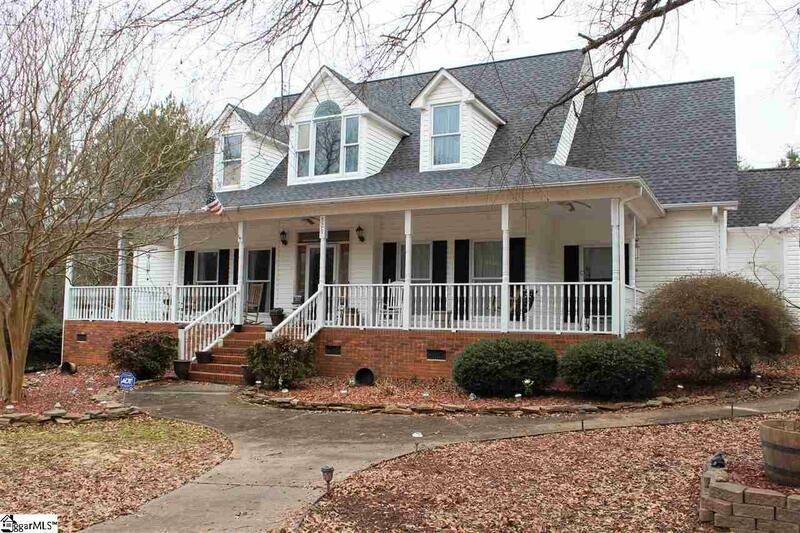 Located only minutes from Anderson, Greenville, and Simpsonville, this slice of paradise will make a great home with a country feel, but with all conveniences nearby. Drive out today for a little piece of heaven! Just off HWY 25 (not in Belton) - Make an appointment today!